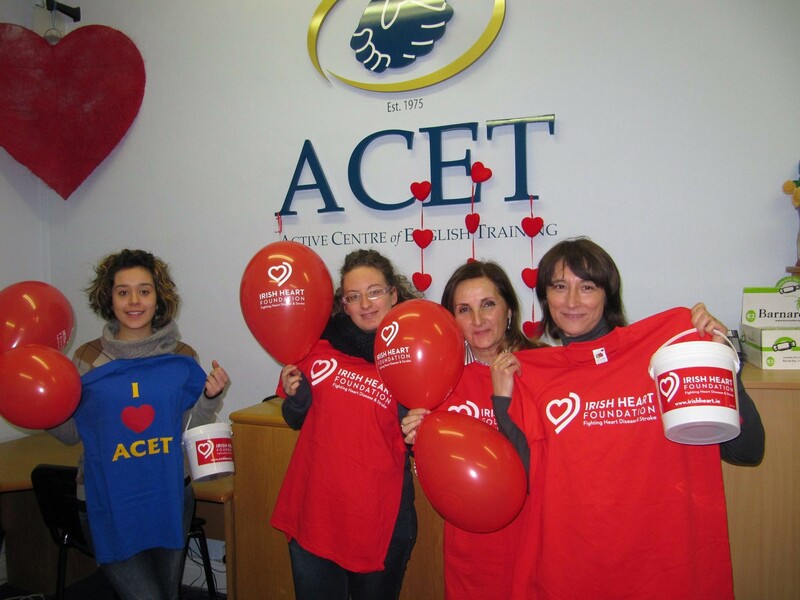 Last Friday 13th of February ACET students and staff dedicated some time during their lunch break to raise money for a very worthy cause, The Irish Heart Foundation. 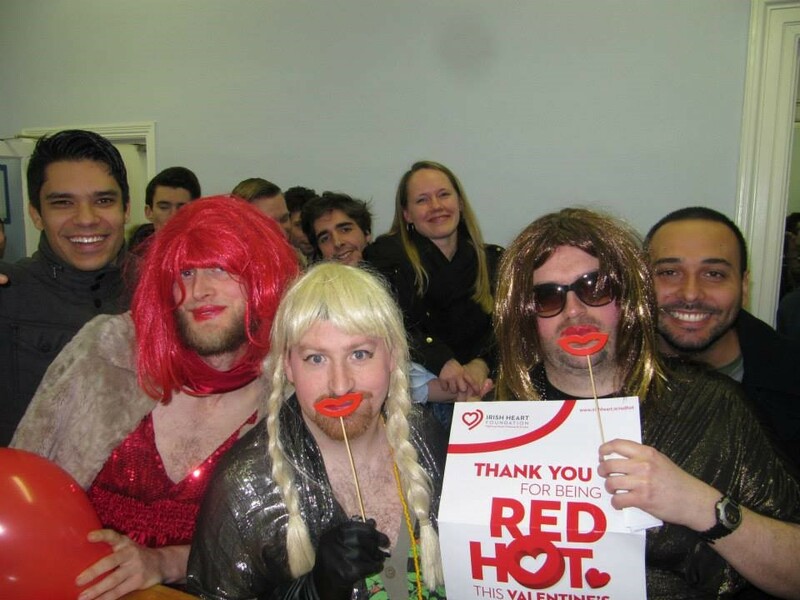 The fundraiser coincided with the beginning of Valentine’s weekend and was fittingly called Red Hot Day! Some familiar ACET faces Michael, Patrick, Oisin and Kevin from the teaching staff underwent a makeover in what we called ACET’s Next Top Model. Once the beautification was complete, all four modelled on our ‘catwalk’ at reception and entertained us all. The winners of the raffle were also announced last Friday. Some excellent prizes were kindly donated by our neighbours on MacCurtain Street including vouchers for Gourmet Burger Bistro, The Shelbourne Bar, The Cork Arms, Pronto Cafe, Paddywagon Tourism and Greene’s Restaurant. Tickets were sold throughout the week and the response from students and staff was excellent. 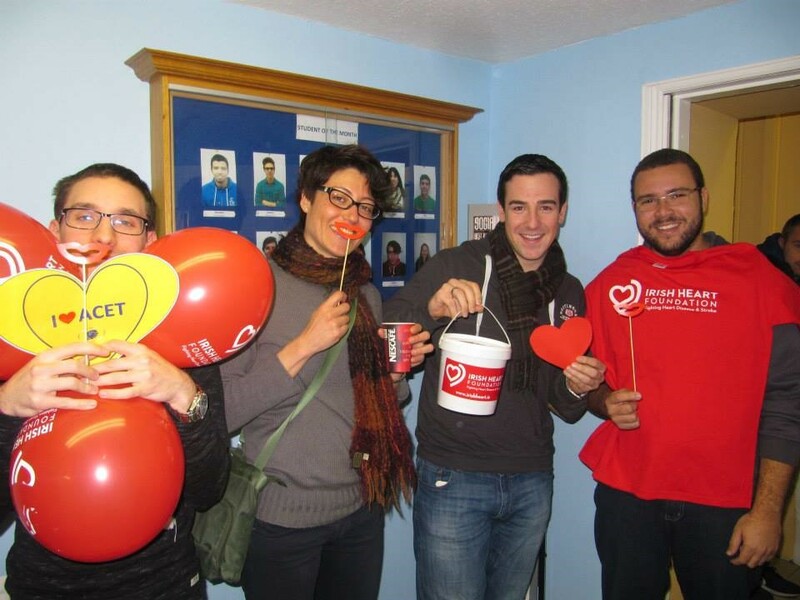 Great fun was had by all and a significant sum was raised for The Irish Heart Foundation. A huge THANK YOU to all who supported and participated in the ACET fundraiser. 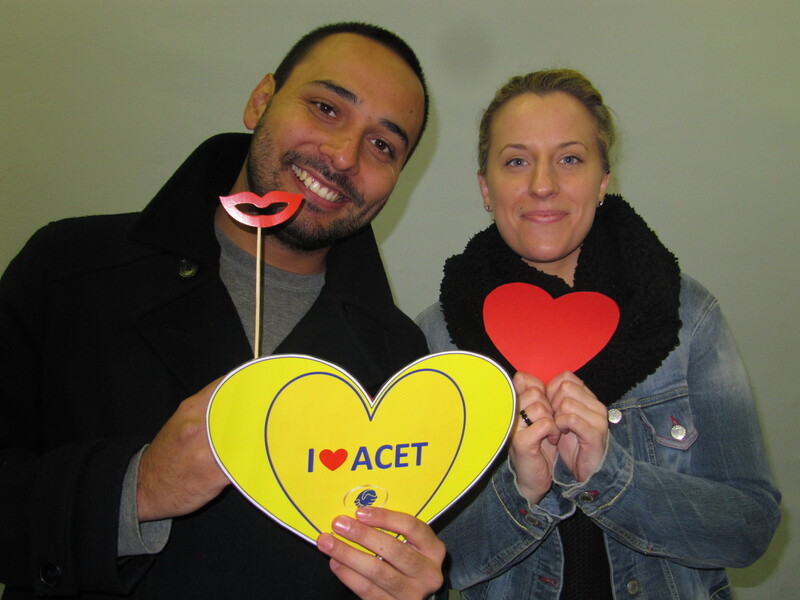 Love is in the air at ACET this week! Today in Ireland we associate Valentine’s Day with customs of purchasing flowers, chocolates, jewellery and the exchange of greeting cards. However these customs have only come into existence in the second half of the 20th Century. February 14th was originally a day in recognition of a third century Roman martyr, Saint Valentine. We have asked our students from around the world if Valentine’s Day is celebrated in their country and what traditions they have when celebrating it. 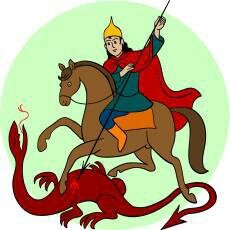 Out Catalan students tell us that in Catalonia the legend of Sant Jordi is celebrated on the 23rd of April each year. This celebration surpasses Valentine’s Day in Catalonia. A book or a single rose is often exchanged between couples and also friends. Our Omani students say that Valentine’s Day exists in Oman but it is not as commercialised an event as it is in the Western countries. 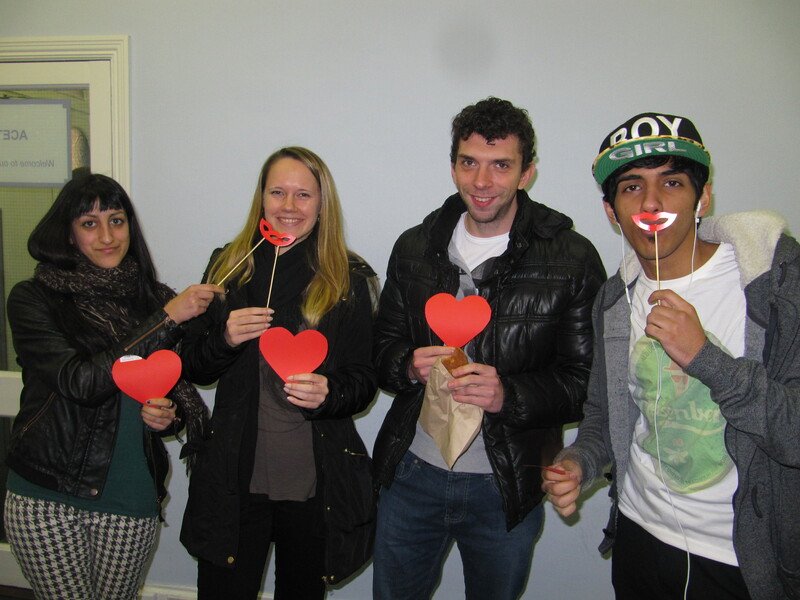 Our students from France say that the French Valentine’s customs are similar to those in Ireland. 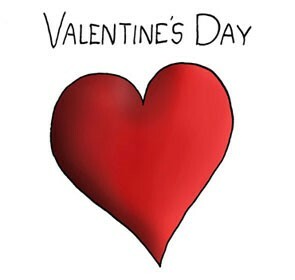 Our Swiss students have said that Valentines is also a big day on February 14th, but that a singles day on the 13th February is also on the rise! 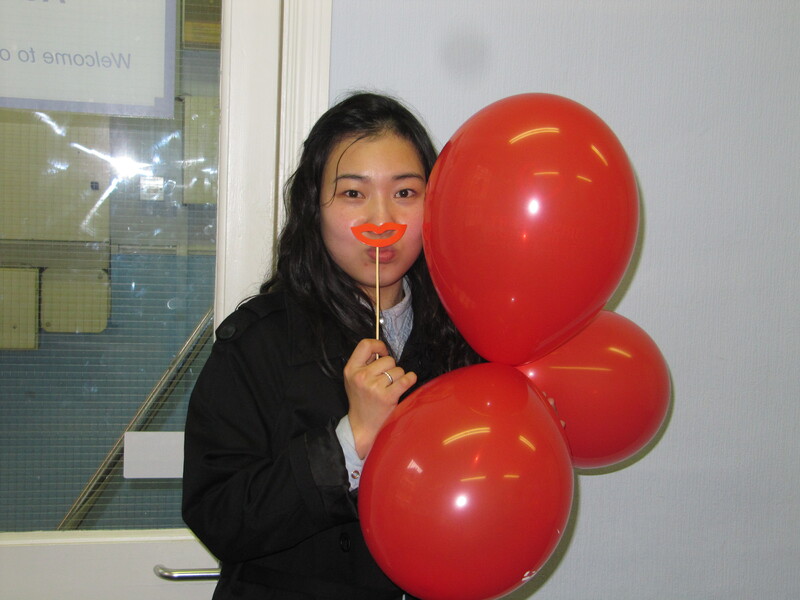 Our Korean students say that while Valentine’s Day takes place on February 14th there is a different custom in Korea. Women give presents to the men primarily. There are also several other special dates in Korea. For example White Day on March 14th is the day when men give gifts to women. Black Day takes place on April 14th. This is day for single people to celebrate! 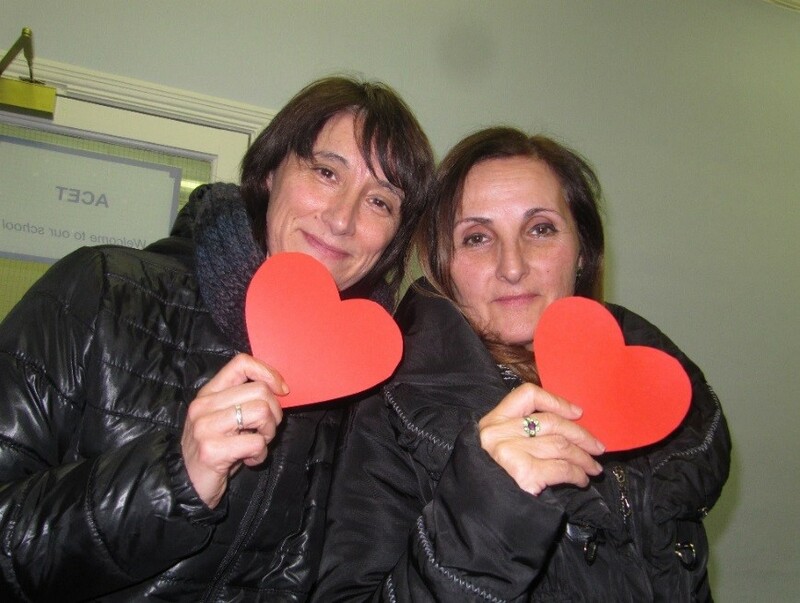 Our Brazilians say that in Brazil Valentine’s Day occurs on June 12th . Similar to here it is a commercial event which sees restaurants, florists and hotels offering Valentine’s weekend offers. In Venezuela , people meet with friends and exchange small gifts quite similar to the Secret Santa custom at Christmas time. This way everybody gets a gift. 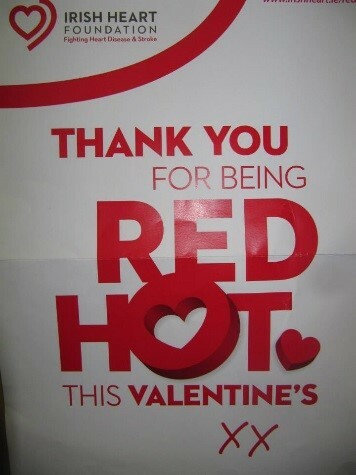 We hope that you enjoy Valentine’s weekend. 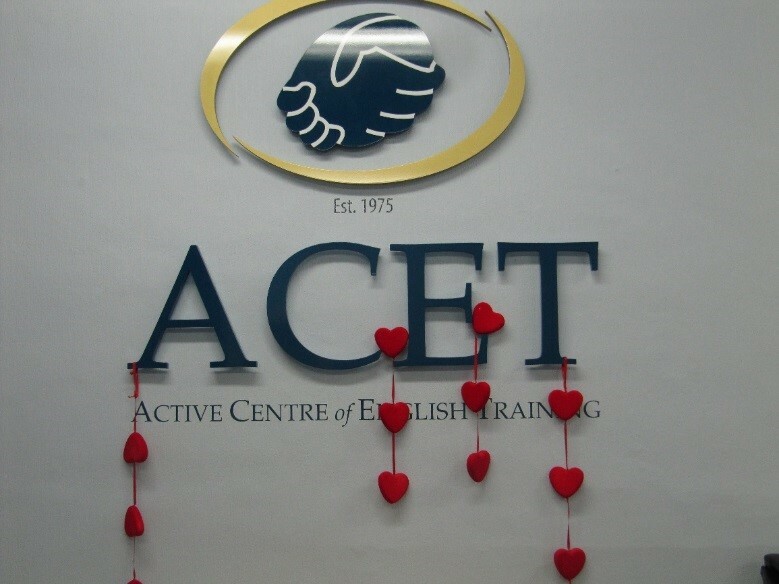 Lots of love from the ACET team !! 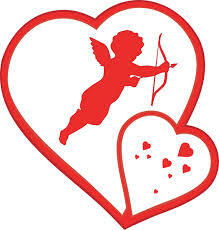 Valentine’s Day is on February 14 and its name comes from an early Christian martyr named Saint Valentine. It is traditionally a day when lovers express their love for each other by giving each other flowers, chocolates and cards. 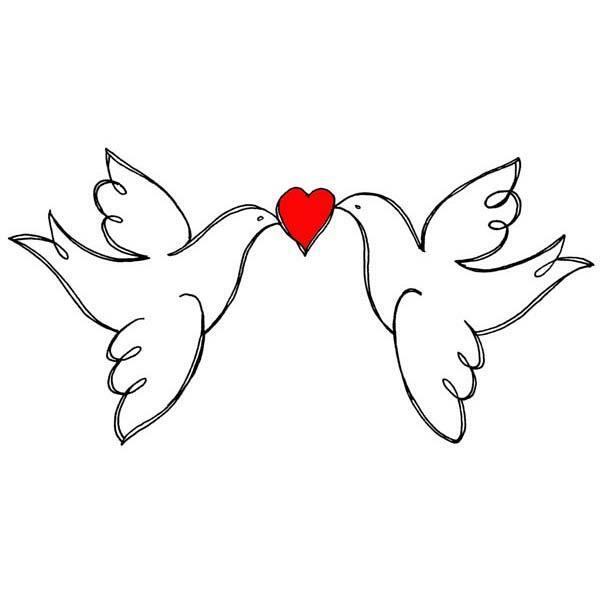 Valentine’s Day symbols include the heart, doves, and Cupid. Nowadays, St Valentine’s Day is celebrated in many parts of the world. People in love buy presents, send messages and cards to their lovers. In middle ages, names of young men and women were pulled from a bowl and were declared each other’s valentines. These names were then pinned to their sleeves for everyone to witness for one week. That’s how the expression, “to wear your heart on your sleeve” originated. In late 1800s the first box of chocolate was introduced by Richard Cadbury for Valentine’s Day. Each year more than 35 million heart shaped chocolate boxes are sold on Valentine’s Day. In Japan they have two Valentine’s Day. The first is February 14th when girls give dark chocolate to the boys they like and the second is on March 14th when boys give cookies or white chocolate to the girls they like. Why don’t you try to write a love poem to celebrate!